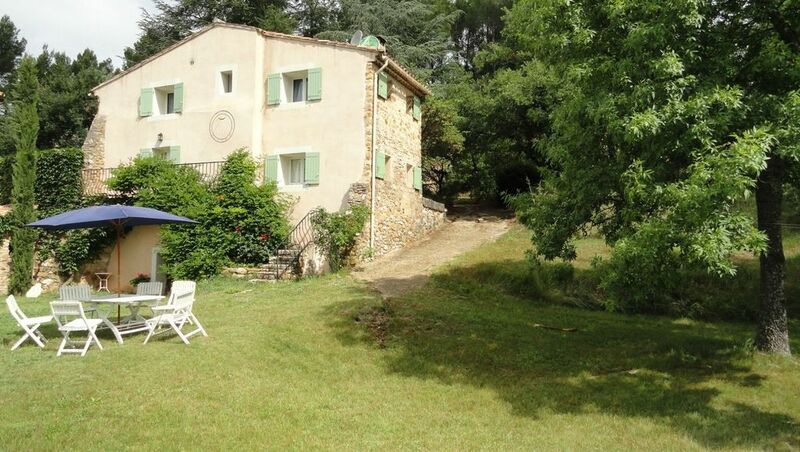 A magnificent 30 hectares right in the classified site with its center in a former silk at the top of a hill with a lovely view of the ocher of the Colorado of Provence and its valley, seniority places offer magnificent trees and various varieties. The luxury here is the silence and the beautiful scenery. It is divided into 4 parts a main building a barn, a log cabin, a discount on all dry stone with volumes vaulted and beamed ceiling, beautifully decorated with antique furniture in the style of the country. the exteriors are in the fortified farmhouse style courtyard, entrance porch, terraces maze. the exceptional character of this beautiful house, gave way to modernism: beautiful infinity pool (12x5) in terraces with pool house. mas exceptionnel dans un cadre enchanteur avec des hotes trés sympa.